Dr. Eric (Rico) Gutstein is a professor in the Department of Curriculum and Instruction and teaches mathematics education and critical pedagogy at the University of Illinois at Chicago. His research and teaching interests include teaching and learning mathematics for social justice (“critical mathematics”), Freirean approaches to teaching and learning, mathematics and urban education policy, and the interrelationships of education and social movements. 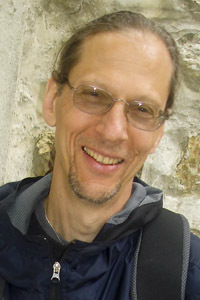 He is the author of Reading and Writing the World with Mathematics: Toward a Pedagogy for Social Justice (Routledge, 2006) and the co-editor of Rethinking Mathematics: Teaching Social Justice by the Numbers (Rethinking Schools, 2005). He was part of the Design Team for Chicago’s Social Justice School (“Sojo,” inaugurated in 2005) and has taught mathematics for social justice in middle and high school in Chicago’s public schools (including at Sojo). He has longtime experience working with students and teachers to develop and teach critical mathematics curriculum. Rico is a founding member of Teachers for Social Justice (Chicago) and is active in social movements, particularly fighting education privatization and neighborhood displacement in Chicago.